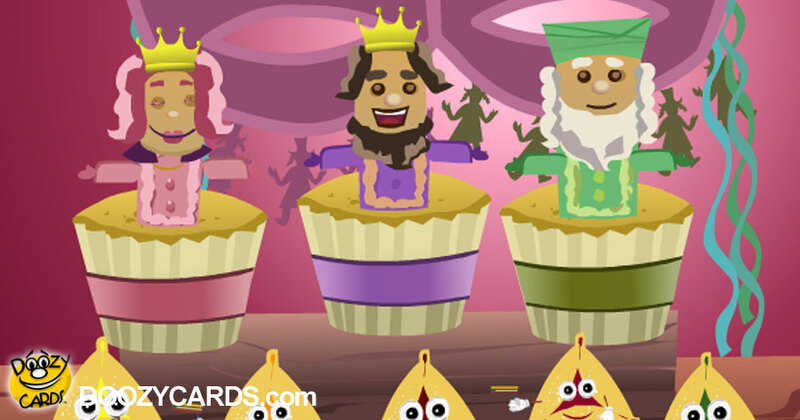 Nothing celebrates the salvation of the Jewish people by Queen Esther like singing cupcakes! Three charming pastries frosted to be the Queen, Her King and her uncle, Mordecai, perform a jaunty pattern song describing the story of how Haman tried to betray the Jewish citizens of Babylon, how Mordecai inspired Queen Esther to risk her marriage and life by speaking up to the King, how the King was so moved by her character and sincerity that he saved her people, and cast out Haman. Here's where you learn about eating Haman's hat from pastries who hang out with Hamantaschen. Nom nom nom.